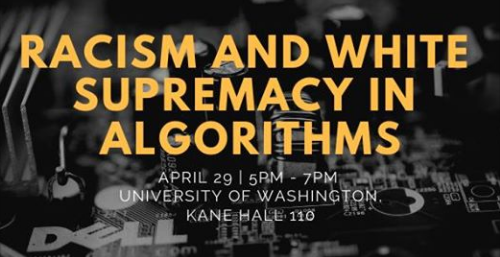 Algorithmic and information technologies can replicate racial bias and perpetuate White supremacy. This panel brings policy advocates,community organizers, and tech experts to discuss how structural inequality is manifested tech. Seating for all bodies and wheelchair accessibility in the space. No ASL interpretation is available due to budget restrictions. For additional accessibility requests, please reach out via email before the event. If Seattle is Dying, How Do We Heal?